Now Available on BasharTV*, DVD, CD and Instant Download! 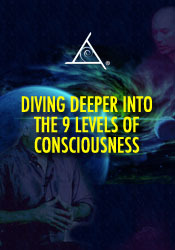 Explore higher levels of consciousness in this mind-bending adventure with Bashar and master the art of crystalizing your preferred reality! Includes a HOLOTOPE Guided Meditation- A Transformative Experience of Light, Color and Sound. Q&A includes: How can I visit your spaceship? Is hypnotherapy "out"? Redefining depression into compression. IS there time in the higher densities? Bashar' s hearing and Essassani music. Are there planets that war on each other? Can I ascend if I am drunk? Redefining "ADD." Am I having "too much fun?" Is it possible to fly in this physical body like Peter Pan? Horse Dream Symbology. Are there hybrid beings here now? Why do we need to sleep so much? What are some other important dates in 2012? Making sense out of a bad DMT experience. How can I improve my turbulent sleep?